Why the hell would you have cornflakes or muesli for breakfast, when you can have duck? You certainly don't miss this until you've left the country for a Western one, which lacks the crack-of-dawn food variety you get on this side of the world. It's actually not a large portion, despite how it looks in the photo. you make even the simplest comfort singapore fare look so delish. EXACTLY why have cereals when you can have duck! Heh, thanks! 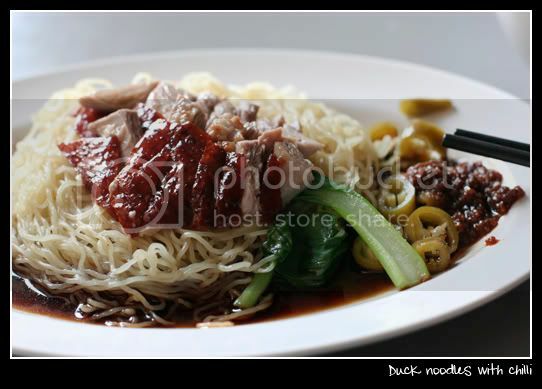 Duck noodles are soooo good.